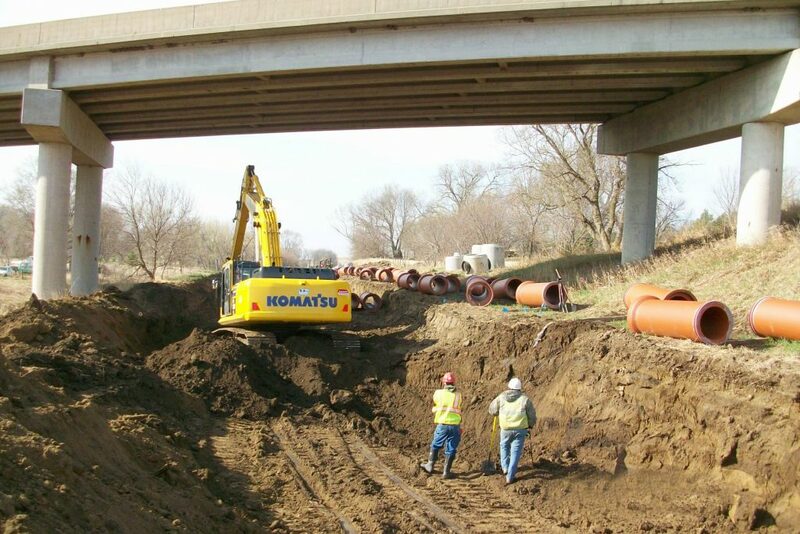 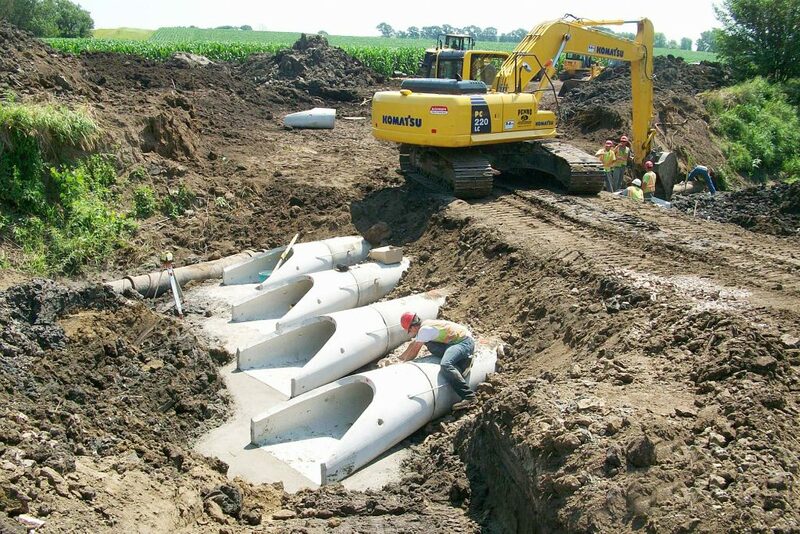 The City of Sioux City needed a large diameter trunk sewer to carry flows from new residential development and future development on the east side of town to the existing Southeast Morningside Lift Station. 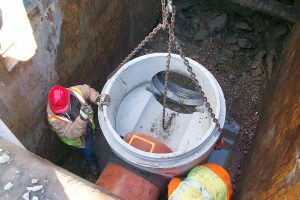 The upper end of this gravity sewer will also serve as new discharge point for twin 10″ sanitary force main installed from the Whispering Creek Lift Station. The gravity sewer starts at the Southeast Morningside Lift Station and runs south and east along an existing drainage way and then north in an abandoned railroad right of way to Old Highway 141. The gravity sewer continues north through portions of the new Eagle Ridge and Whispering View Subdivisions. The Whispering Creek Lift Station was retrofitted with VFD pump controls to allow for more efficient pump operation and a new flow meter was installed to meet current DNR requirements. 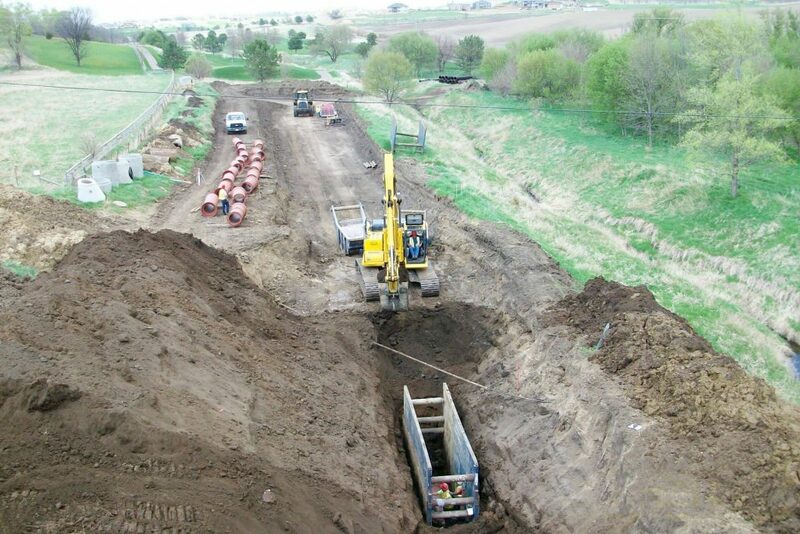 Force main installation included a 1,000 foot long directional bore of the twin 10″ force mains under portions of the Whispering Creek Golf Course. 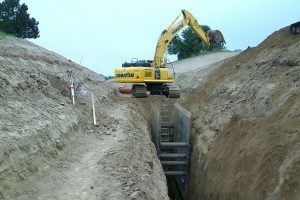 A granular access road was constructed along much of the gravity sewer to provide for maintenance access.